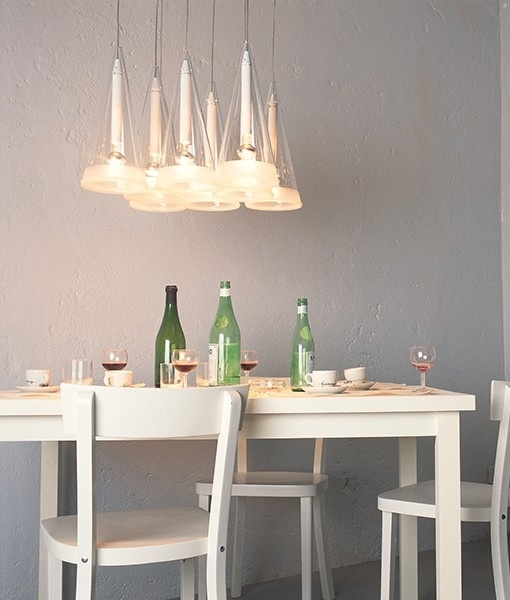 This Fucsia 8 light is a multiple suspension fitting. 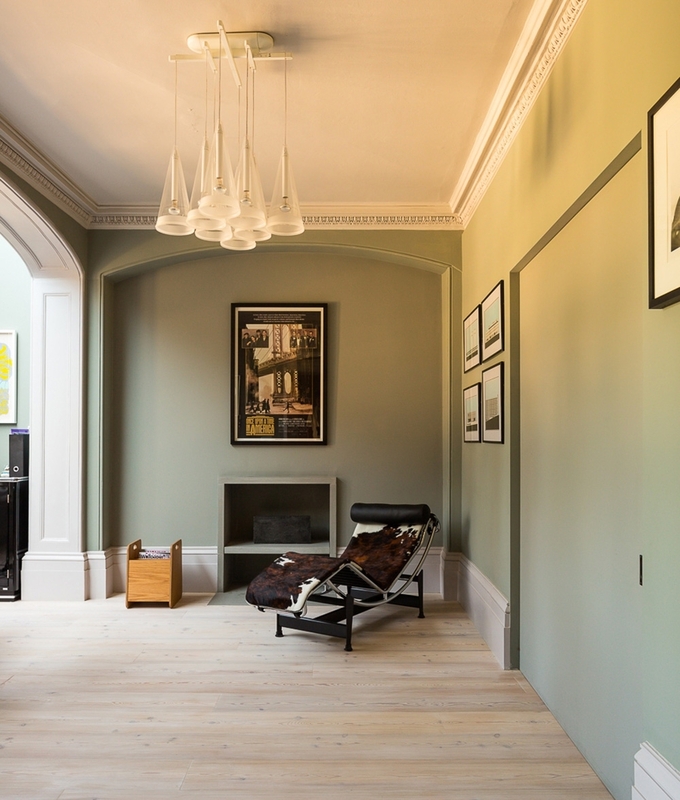 The pendants hang from a central ceiling plate and will provide direct light onto the area beneath it and ambient lighting from the glass shades. 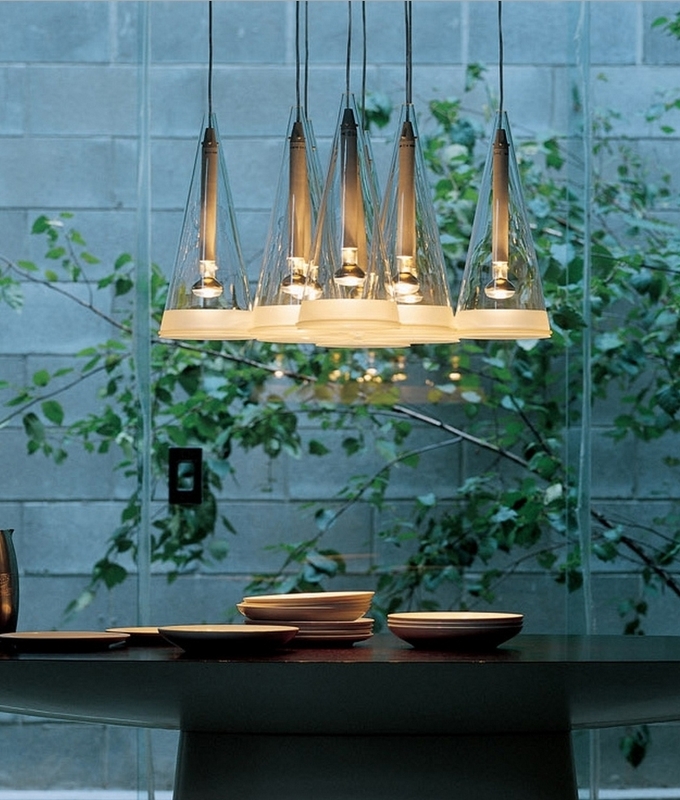 Each flex carries a hand blown glass conical shade with a sandblasted edge. 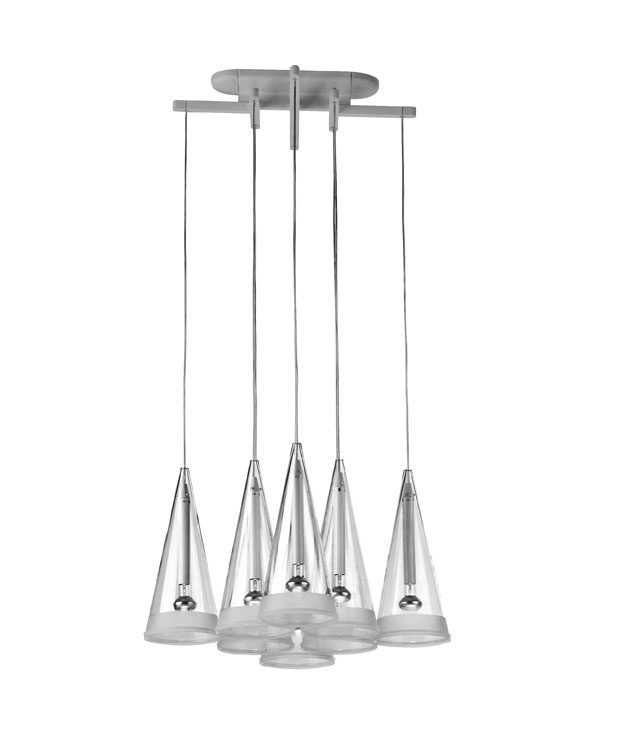 This pendant is ideal for use in the kitchen above a breakfast bar, the dining table or in a restaurant or bar. The PTFE transparent power cord is 2660mm in length which can be adjusted at time of installation if required. 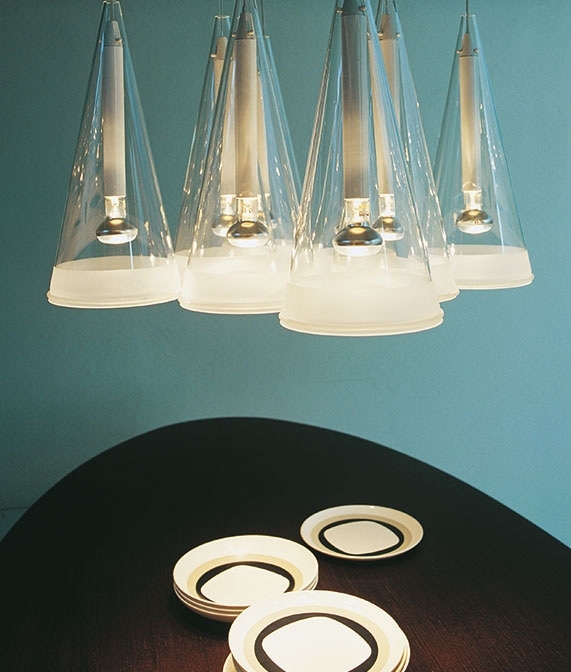 Each Fucsia glass measures 355mm high. Requires 8 x E14 small edison screw reflector lamps up to 40 watts each.